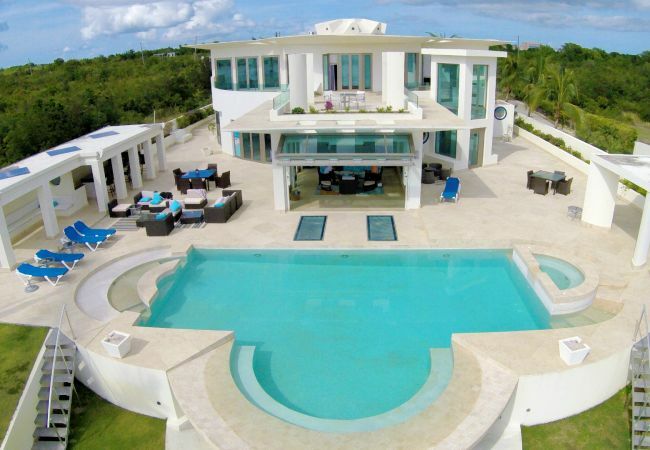 Italian charm with a modern twist boast this incredible villa that looks out upon the Caribbean Sea. An interconnected open design with over 25,000 total square feet which flows seamlessly into the interior spaces. All the incredible details including honey onyx doors, domed ceilings, cobalt-glass spiral staircase and incredible infinity edge pool with spa.